The façade at 461 West 34th Street is now complete! 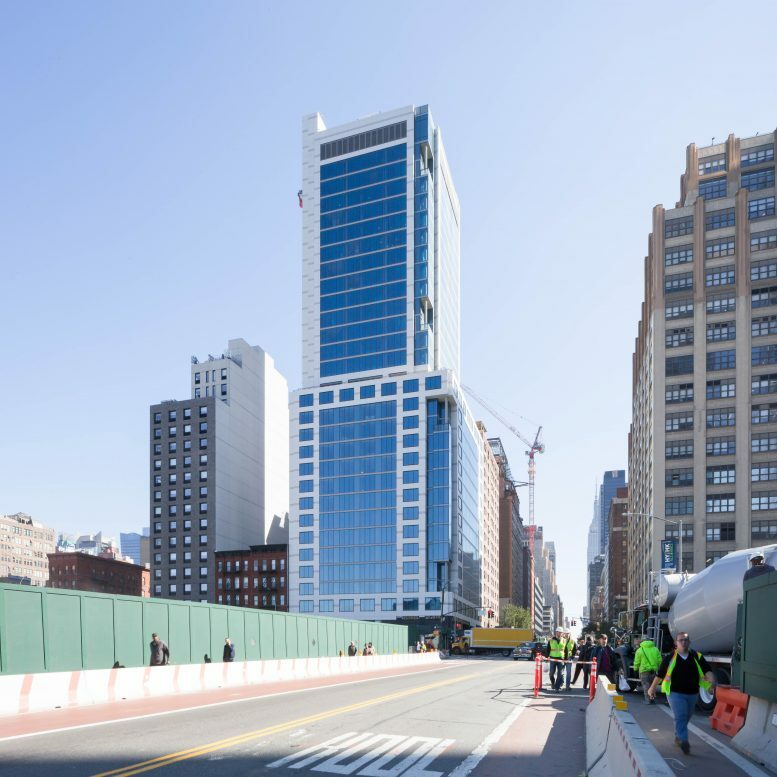 Located in Hudson Yards, GEA is providing mechanical, electrical, plumbing and fire protection design services to this 312-foot-tall future Courtyard Marriott hotel. Standing 29-stories with a retail space on ground level, the establishment will add 399 hotel rooms to the neighborhood that is soon to be in high-demand due to the office and housing markets nearby. Having long been topped out and with all of the interior work finishing up, completion is “anticipated imminently!” Full story at NY Yimby.